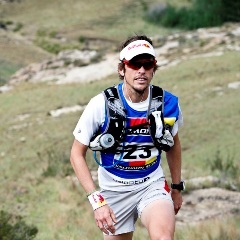 Cape Town - Ryan Sandes has won the 2012 Saloman SkyRun. The race took place in the Witteberg Mountain Range in the Eastern Cape between Lady Grey and the Wartrail Country Club. Ryan Sandes came first in a field of over 200 runners, beating the previous Salomon SkyRun record, set by fellow South African runner Ian Don Wauchope, by more than 2 hours. Ian’s record was 14hrs56min; Ryan’s time (in horrific weather conditions) was a staggering 12hrs36min. “My first Salomon SkyRun done .. What an epic experience! Rain, hail, wind, thunder, hot, cold, strong winds….awesome fun day out in the office! I have had a fantastic year racing and am looking forward to bigger and even better things in 2013,” Sandes said. The Salomon SkyRun is considered by many to be one of the toughest ultra-trail runs in the world.